We’ll win this game tonight – rah, rah, rah! Fight, Norris, fight and we will win this game. 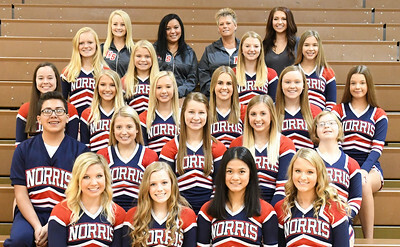 Norris Cheer Tryouts are just a few weeks away! Please report to the High School conference room on April 10, 2019 during your lunchtime (11:00am-1:00pm) for your Varsity clothing fitting. You may bring your lunch with you to the fitting. This is the only time the Varsity rep will be available to measure you; so, please make sure you are there! Congratulations on making the squad!